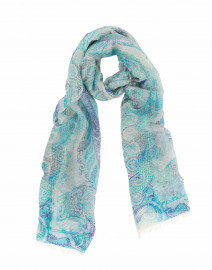 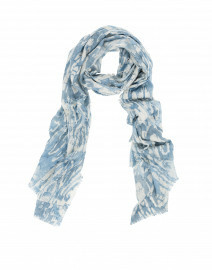 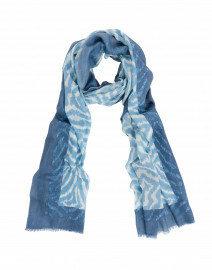 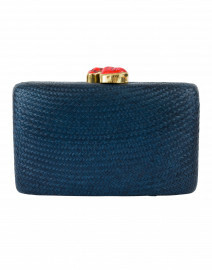 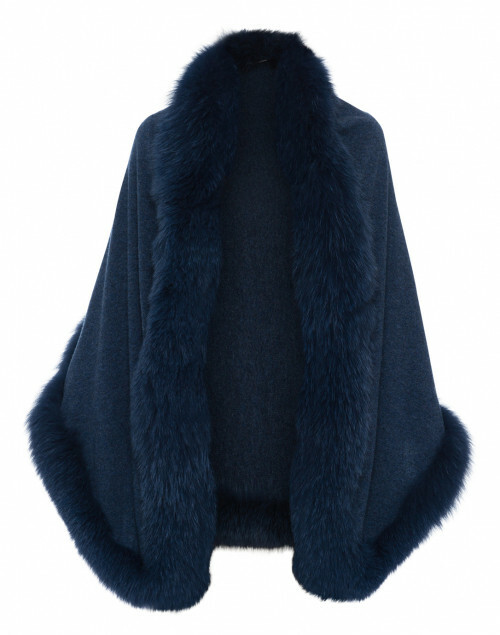 Ensure luxurious layering with this navy wrap from Kinross'. 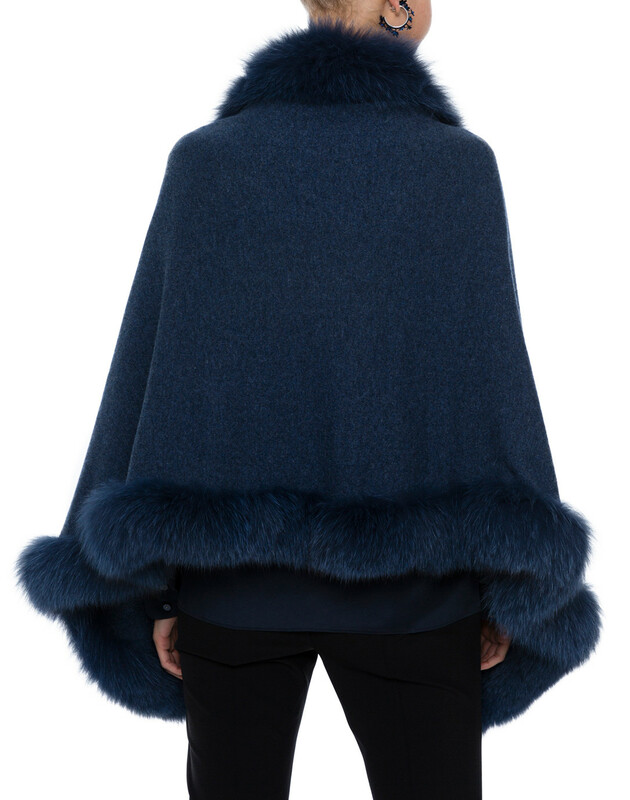 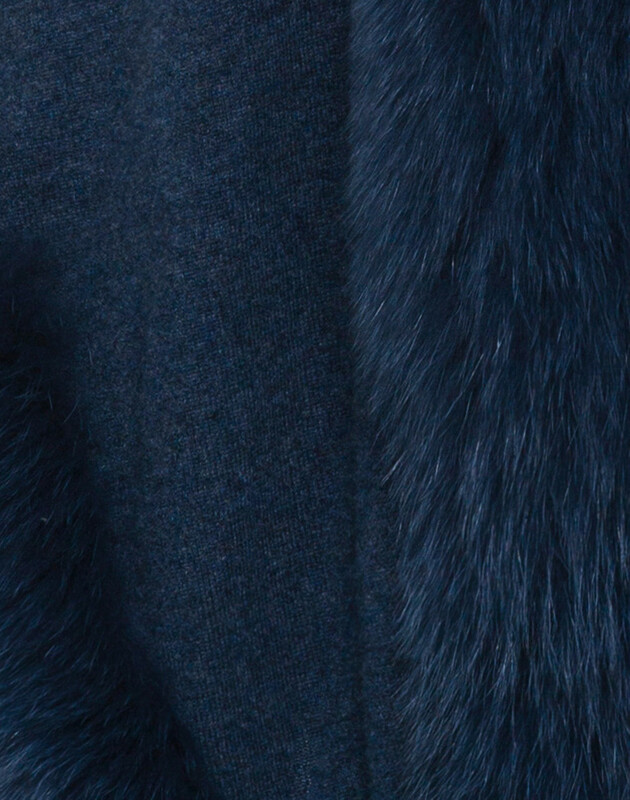 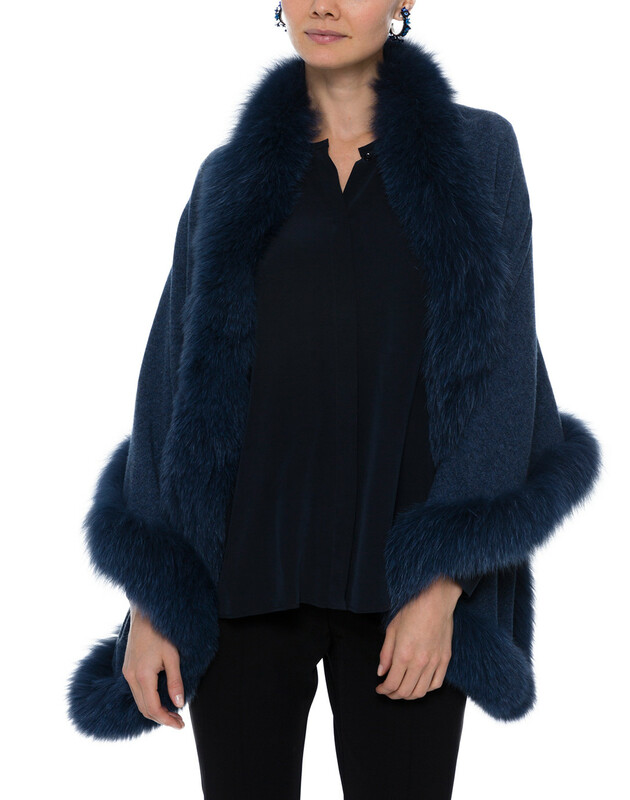 A timeless piece for your capsule collection, it is crafted from cashmere and features a lavish fur trim. 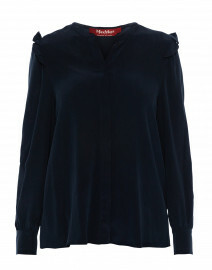 Drape it over a silk blouse and slim trousers for a stylish dinner date look.